Disposable plastics; is this the last straw? Home/News/Disposable plastics; is this the last straw? Consider this; it takes 200 years for a plastic straw to break down completely. This means that every time we purchase and consume a beverage (most of which don’t actually require a straw), we are inadvertently creating a demand for a plastic product that will most likely only be used once, for a very short amount of time – but yet will remain a part of this planet long after we are gone. According to National Geographic magazine, Americans use a projected 500 million straws daily, each one with a lifespan of almost two centuries. The necessity to eradicate such an unassumingly harmful and insidious pollutant is therefore evident. Our reliance on excessive and largely unnecessary plastic products is a global issue that has gained attention and traction worldwide in the past few years from concerned citizens. The Ocean Conservancy Organisation has predicted that at our current consumption rate, by 2050, “there will be more plastic (by weight) than fish in the ocean” (World Economic Forum). South Africa is still relatively new to the anti-straw war; however, we appear to be making up for lost time. Refilwe Mofokeng, a Marine Biology Doctoral student is making waves as a prominent anti-straw advocate. Her goal is to put an end to the extreme use of, and reliance on disposable plastic products, particularly in the restaurant and retail industry. As part of her hands-on approach, Mofokeng has been accruing more anti-straw warriors, including restaurants that are ready to start curbing their plastic consumption one balloon or plastic straw at a time. The popular John Dory’s franchise restaurant at Wilson’s Wharf in KwaZulu Natal has vowed to stop providing customers with balloons – a well-known and dangerous ocean pollutant. There are also a growing collection of restaurants countrywide that are now using bamboo, glass and paper crockery and straws as alternatives to the plastic variety. The social responsibility movement has subsequently encouraged retailers to promote plastic-free shopping bag alternatives by providing paper substitutes or by dedicating specific days of the week to ‘plastic free’ shopping. Despite a definite increase in recycling efforts, only “14% of plastic packaging is collected for recycling, and of that, only 5% is saved for a second use” and an estimated 50% of plastic (in all its forms) is only used once, and then disposed of (Ocean Conservancy Organisation). 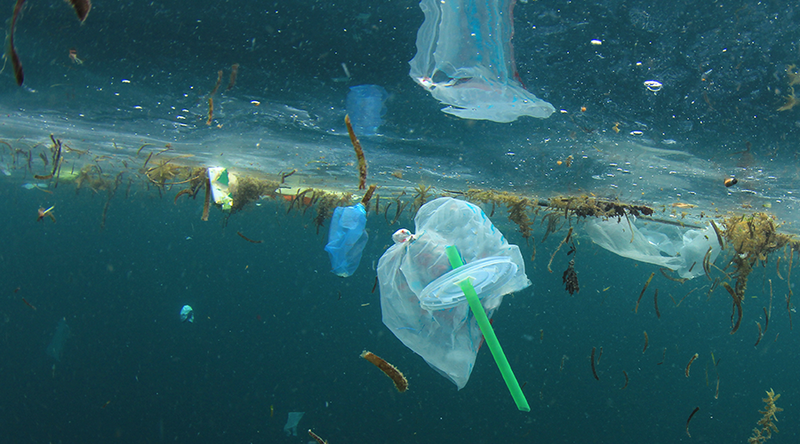 The ‘working life’ of a plastic bag has been calculated to be approximately 15 minutes, however, once they have fulfilled their purpose, they often make their way into our oceans – and wreak major havoc on the environment as a whole. The National Environmental Management Act “imposes a duty of care on every person to take reasonable measures to avoid causing significant pollution or degradation to the environment.” The #strawsmustfall movement is indicative of the fact that there is a growing global community that takes this act to heart, and is making concerted efforts to reduce their ‘plastic footprint’, however, the war on straws is going to need many more soldiers in order to render it victorious.